A Calgary bitcoin miner says the failure of a Vancouver-based cryptocurrency exchange shows its business model was garbage and he’s quick to separate currency and the industry, in defending the former. A Calgary bitcoin miner says the failure of a Vancouver-based cryptocurrency exchange shows its business model was garbage and he's quick to separate currency and the industry, in defending the former. You may have seen the headlines. 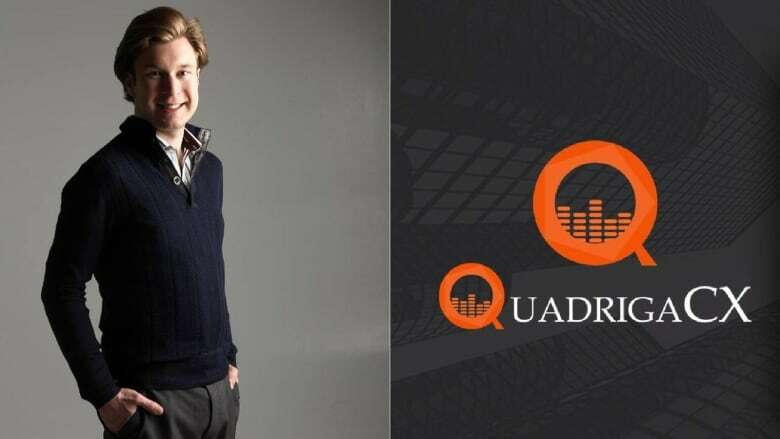 About $250 million in cryptocurrency is currently in limbo after QuadrigaCX boss Gerald Cotten died suddenly in India — and it turns out he was the only one with the keys and passwords to unlock those funds from the exchange. Cryptocurrency exchanges are online platforms where the digital coins can be exchanged for other currencies. The company was just granted an order for creditor protection in a Nova Scotia Supreme Court, giving it 30 days to get things in order before lawsuits can proceed. Ethan Lou — a bitcoin miner and senior partner at a Calgary-based cryptocurrency mining firm— says some of that just doesn't add up. "If what is said is true, the way it was run is abysmally stupid. How can one guy be the entire point of failure for the whole organization?" Lou told Alberta@Noon on Wednesday. Lou himself had about $2,000 with Quadriga that he had forgotten about. He's not optimistic. "I am definitely not among those with the most money stuck on the platform, I know people with millions. I do think we will never see our money again." About 115,000 users had funds sitting on the exchange. Quadriga's collapse isn't unique, Lou said. "Mt Gox in Japan was the biggest cryptocurrency exchange in the world. It collapsed. It has been years and creditors are still trying to get their money." But, Lou is quick to point out, there is a huge difference between the currency and the collection of people around it, the industry, that give it value. "I would separate the industry and the currency. One will evolve. The currency is technology and the industry is people. Our technology has evolved by leaps and bound throughout the ages. Cryptocurrency itself is secure, but we as people remain apes. We are the weakest links in this," he said. Takara Small, a tech writer and host of Globe and Mail podcast I'll Go First, says while Quadriga does not represent the industry as a whole, it's troubling. "It speaks volumes how volatile the industry can be. It's an outlier, but it's also proving a basis for calls for regulation," Small said. She agrees that Cotten being the only password holder is strange. "It is unusual. A lot of exchanges have multi-signature systems because it's a lot safer. Someone walking around with those passwords would be a kidnapper's dream. It is why the company applied for creditor protection." Small says many people have been affected and the "R word" — regulation— is being thrown about. "A lot of people who invested are just average, everyday people. I hope that this money is found, but we will just have to wait and see," Small said. "It will be interesting to see what takes shape after this." Lou says regulation of an industry that was, in part, a protest against the machine, is a uncomfortable conversation, but perhaps it might be time to at least start it. "It is very much divided because these are duelling philosophies. Bitcoin was born out of the financial crisis of its time. There is a strong libertarian streak that runs through it. Its inherent philosophy is a mistrust of traditional institutions, so idealistically speaking, there is zero appetite for regulation," Lou said. "But pragmatically speaking, if there is no regulation … if funds are lost, they are lost and you can't recover them."